The CNS community is fortunate to include a professional speech & language therapist. Her private services are wide-ranging, from addressing speech and language issues, to autism and behavioral interventions. While these services are not without cost, they are covered under many major insurance plans. Kirsten Schaper of Operant Therapy is Southern Illinois’s expert on autism spectrum disorder diagnosis and treatment. She was an instructor at Southern Illinois University’s Center for Autism Spectrum Disorder for 12 years, with 7 of those as clinic director. She has trained extensively on autism diagnostic measures, achieving reliability certification on Modules 3 and 4 of the Autism Diagnostic Observation Schedule-2. She is fluent in implementing naturalistic teaching and adult-led instruction methods, such as Discrete Trial Teaching and Naturalistic Environment Training. Kirsten is also proficient in the Picture Exchange Communication System (PECS), the Early Start Denver Model, and Phonemic Restructuring of Oral Motor Phonetic Targets (PROMPT), and uses a variety of skills protocols (ABLLS-R, VB-MAPP, STARS). Her approach centers on teaching functional skills in activities that are enjoyable to the child, while incorporating developmental sequences and each family’s priorities. 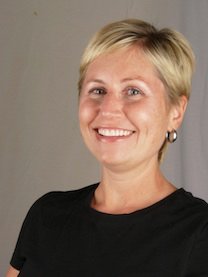 Kirsten is on FaceBook at Operant: Speech, Language, and Behavior Therapy.